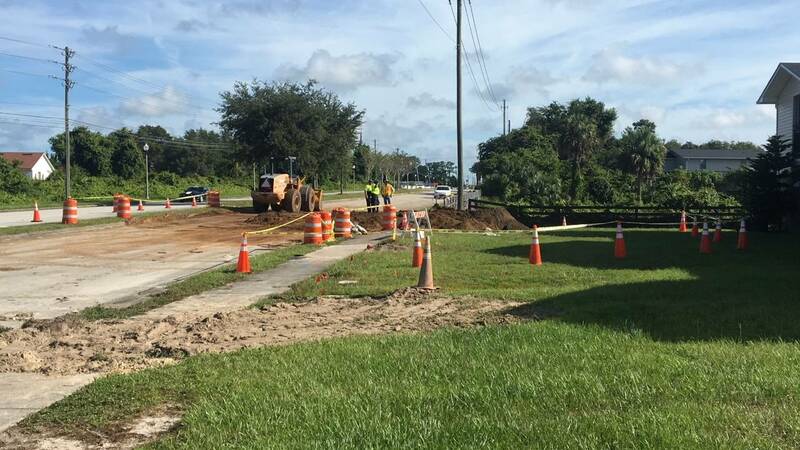 DeBARY, Fla. - A major road in DeBary is still closed while officials work to fix the destruction caused by a 50-foot-wide sinkhole, according to officials from the Florida Department of Transportation. 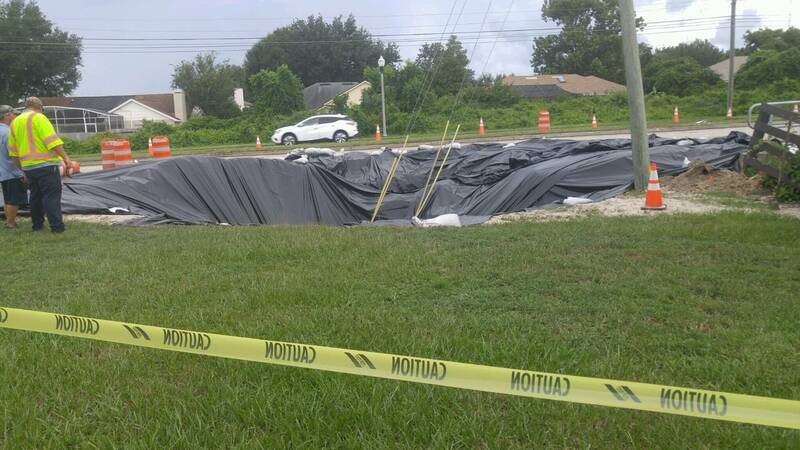 The hole opened up on Thursday on U.S. 17-92 near Hollow Pine Drive. FDOT spokesman Steve Olson said the hole grew 20 feet wider Saturday when a water pipe underneath it broke, making the dirt drop an estimated 25 feet. "All the cement started caving in," Judy Staley, a resident in a nearby apartment complex, said. 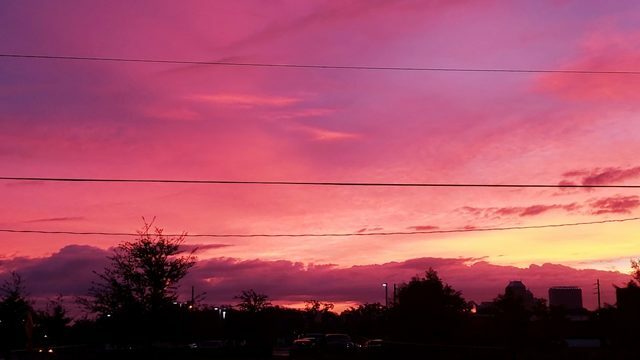 "You could watch the whole thing all the way around. The cement, the sandbags, all the plastic, everything they put on the night before just caved in." This has made some of the people living in the complex nervous. "To me, it's pretty scary," resident Aly Leonard said. "We're coming out here, we're checking on it, we're told we're not in any jeopardy and then it did get bigger and it got deeper and it got wider." Olson said the hole is now mostly filled after growing larger Saturday. 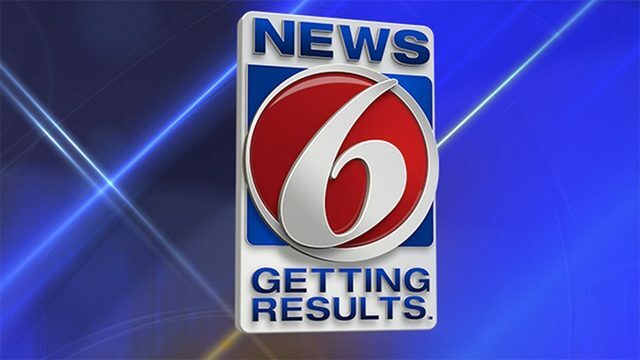 He said that drivers traveling on northbound U.S. 17-92 will have to use detours until the road eventually reopens, which is planned to be as soon as possible. "The plan is to hire a contractor today," Olson said. "It's expected the contractor will begin work first thing Monday." That work will first entail stabilizing and leveling off the area, then repaving both the road and sidewalk. Witnesses said the sinkhole also destroyed a lamp post and that an electric pole was spotted leaning. The sinkhole did affect utilities in the area, including gas and electricity. Residents said they were without water for a few hours on Saturday but never lost power. FDOT officials said all affected utilities have all been rerouted.